Traditionally the traceroute (print the route packets take to network host) and ping (send ICMP ECHO_REQUEST to network hosts) programs are used as diagnostic tool to solve and isolate networking errors. It may take some time to use both tools to diagnose network issues. 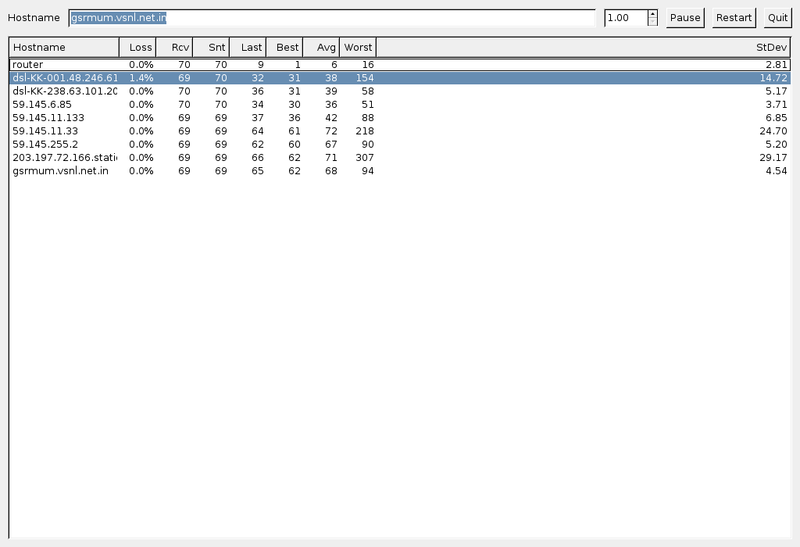 However, you can use the mtr program instead of ping and traceroute. It is a network diagnostic tool and it is the combination of traceroute and ping programs (in terms of functionality) and works as a single network diagnostic tool. -c : Use this option to set the number of pings sent to determine both the machines on the network and the reliability of those machines. -r : This option puts mtr into report mode. -r or --report : This option puts mtr into report mode. When in this mode, mtr will run for the number of cycles specified by the -c option, and then print statistics and exit. -w or --report-wide : This option puts mtr into wide report mode. When in this mode, mtr will not cut hostnames in the report. 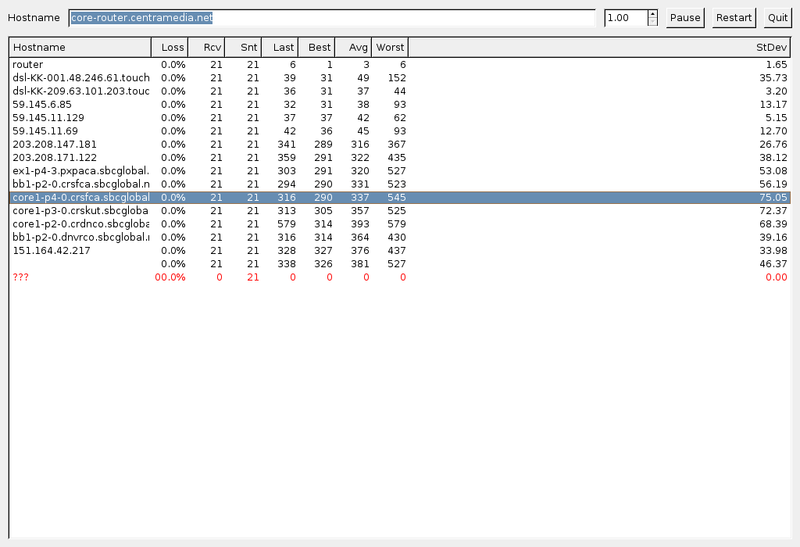 The Loss% column displays the percentage of packet loss at each hop. 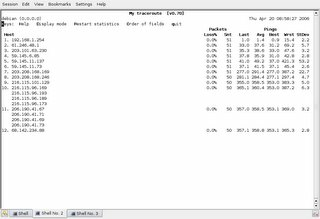 The Snt column displays the number of packets sent. The Last column displays measurements of latency in milliseconds of the last packet sent. The Avg column displays measurements of latency in milliseconds of the average latency of all packets. The Best column displays measurements of latency in milliseconds of the shortest round trip time for a packet. The Wrst column displays measurements of latency in milliseconds of of the longest round trip time for a packet. 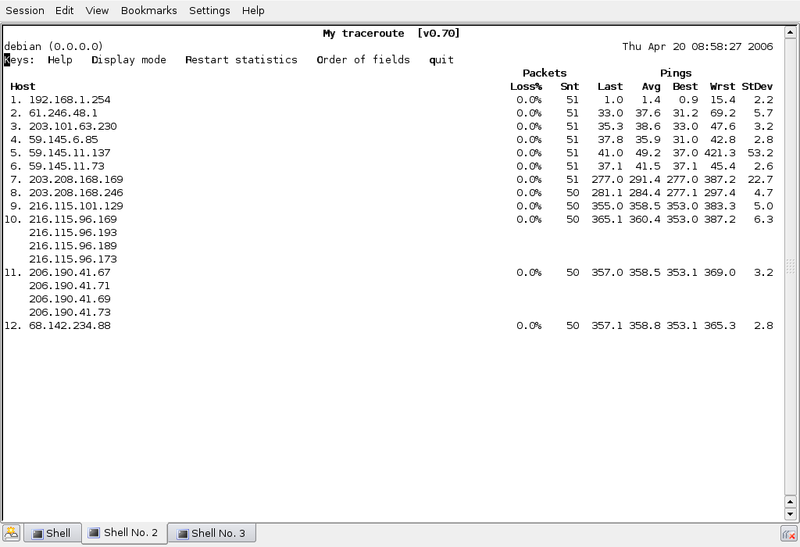 The StDev column displays the standard deviation of the latencies to each host. 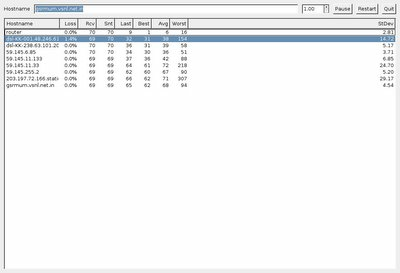 In most cases you need to pay attention to the Loss% and Avg columns only. 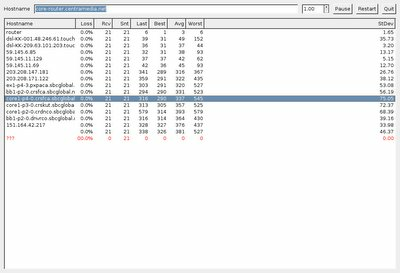 How do I see packet loss? Note down the Loss% column. Very nice tool. Thanks for this great tutorial. What criteria is used for distint bad link of link overloaded ? How to identify the diference betwen overloaded and bad link? if you notice a sudden increase in packetloss or response time is an indication of overloaded link or a bad link.